Daring You To Scrap: January Winners!!! Thank you so much for all the entries in our first challenge. I am amazed by the fantastic response that we had. p.s. loving the entries so far for February's challenge. Keep them coming! Congrats to the winners of our first challenge!! Loved looking at everyone's gorgeous entries..
Beautiful entries! Very deserving winners. Congrats!!! Congratulations, Anita, I love your entry! 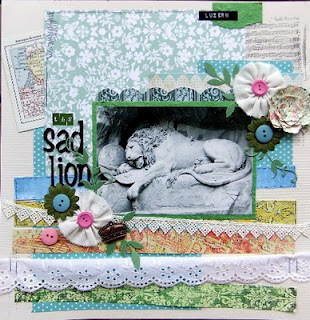 I am so completely chuffed to be a prize winner, there were so many fabulous layouts entered in the comp. Thank you so very much, you have given this old chook a huge confidence boost!